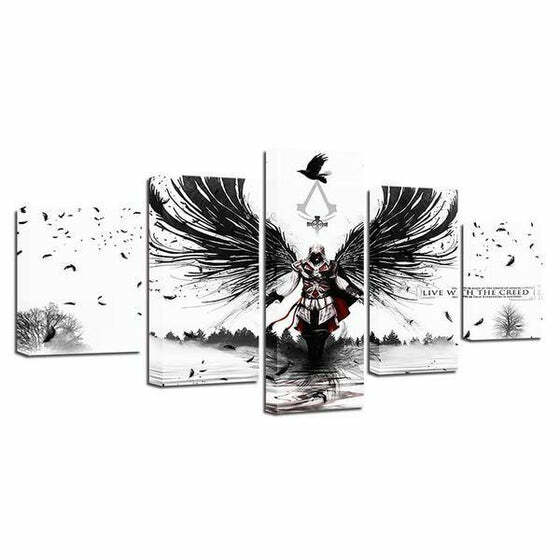 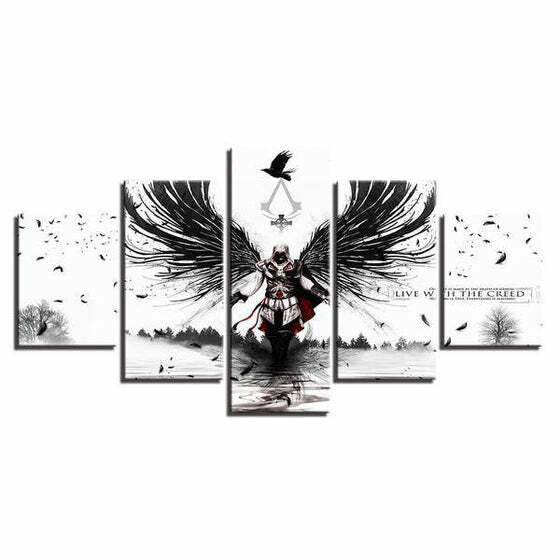 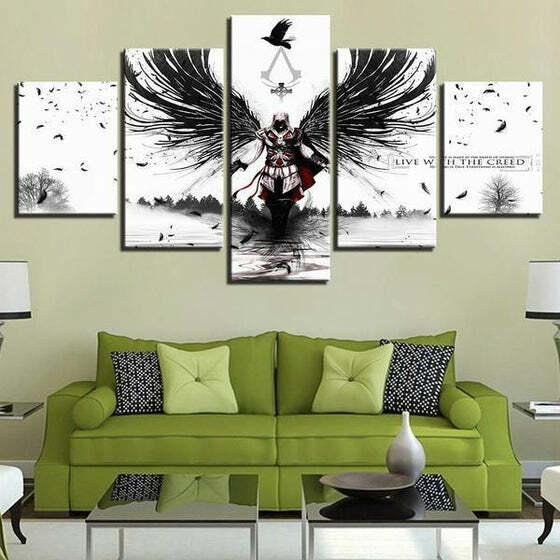 Hang the Assassins Creed Inspired Graphic Canvas Wall Art in your game room and dining or living area to add action-packed wall decor to match your need for an adrenaline rush! 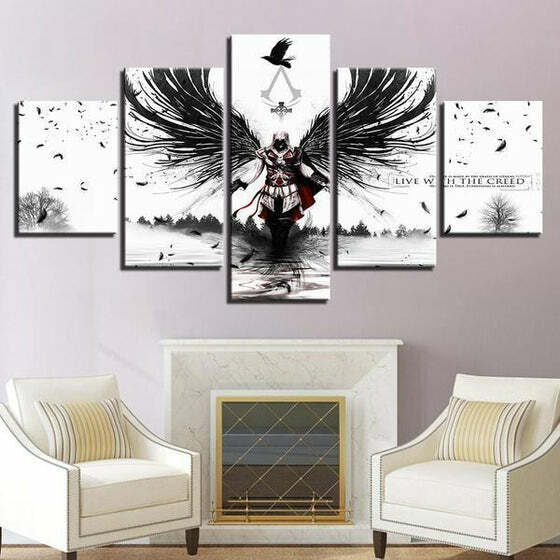 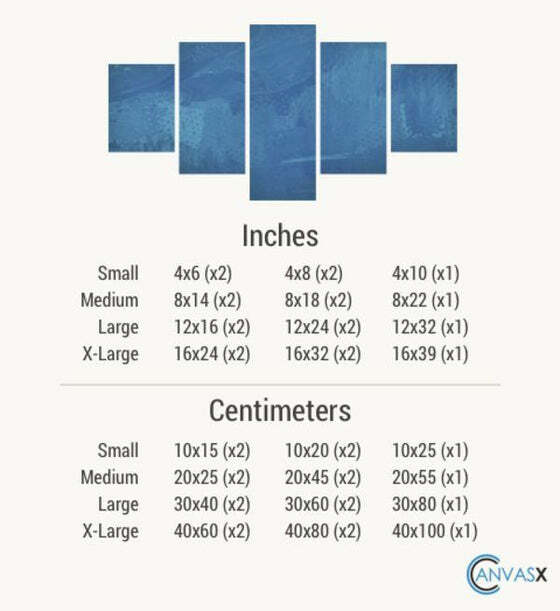 With its black and white take on a famous movie, this 5-panel canvas wall art set will spread a classic and elegant design in your home. 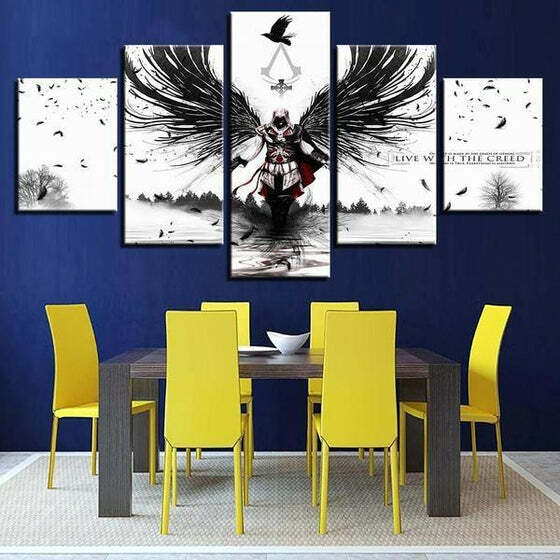 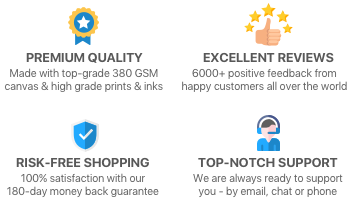 Buy this affordable canvas print today to enjoy FREE SHIPPING plus BIG DISCOUNTS!